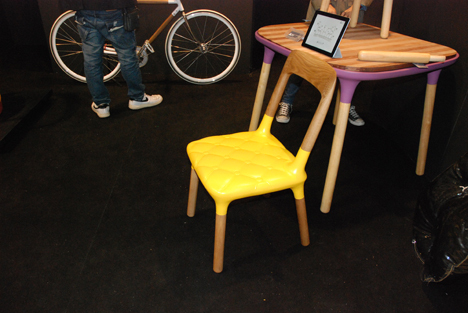 The design event dominated the whole city of Milan! The areas of design extends more and more. The world’s largest international trade fair of furniture and design, Milan Salone 2012 was held in Milan, Italy from the 17th to the 22nd of April 2012. It mainly contained 2 sites; one called Fiera, another Forli. Many events were held during that week and designers filed in from all over the world, the whole city occupied by the world of design. Often and before you knew it, a famous designer was right in front of you. At Fiera, booths of a total of 2,500 brands set up on the site of approximately 200,000 square meters and became a place of actual business meetings. More than 300,000 visitors were welcomed from 160 countries this year, among which participants from outside of Italy were up to 60%. 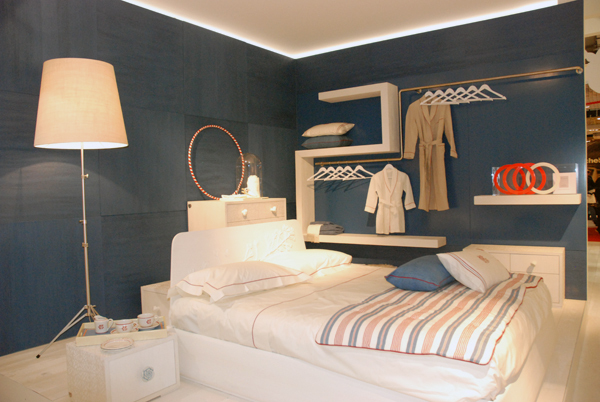 The place is divided into kitchen, bath & toilet and Salone Satellite which presents young up-and-coming designers. Overall, trend, the merit, and quality of material itself became the focus. 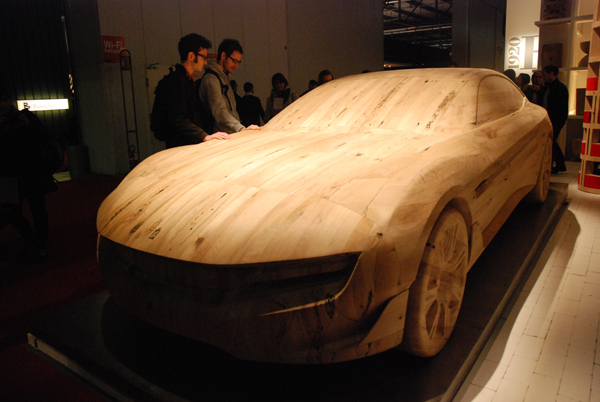 For example, showing off the quality of wood, Riva exhibited a wooden-made car for the demonstration. 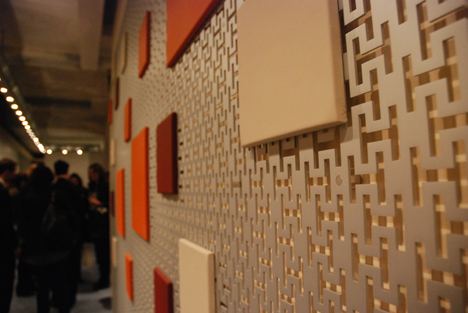 Many people were surprised by the certainty of the technology and smooth texture. Talking about material, particular attention was given to lightness. 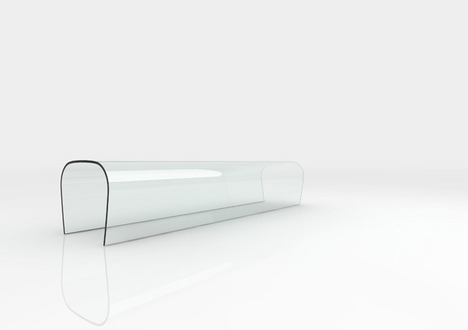 Lighter material is easier to handle, so there are advantages in terms of environment and transportation costs; “Bent Glass Bench” made of crystal glass which is super lightweight, designed by Naoto Fukasawa, is one example. In addition, nostalgia is also a keyword to describe trends in 2012, such as tributes to famous designers and revival of styles. Doshi Levien’s small “Chandigarh” sofa for Moroso, which is a homage to Le Corbusier, and the “Isola” armchair by the Swedish design trio Claesson-Koivisto-Rune for Tacchini is influenced by the Mid-Century. Moreover, without a doubt, the trend color of this season is blue, dominated by smoky blue. As you can see, many brands use blue as the main colour. In the area of FTK (Technology For the Kitchen), 30 brands including international brands participated in telling the trend. It allows to predict the future landscape of the kitchen. A decade ago, IH kitchen was synonymous with high-tech kitchen, now, it has come further. 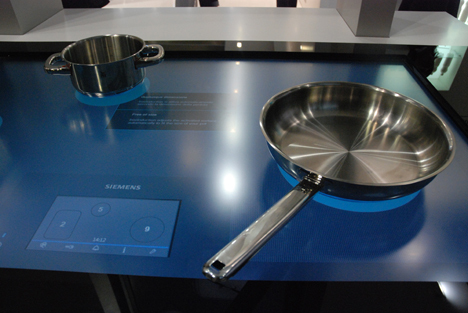 For instance, Siemens lined up to showcase the ultra-high-tech IH kitchen which reacts when you place the cookware on it. Salone Satellite, for the young ambitious designer, is the gateway to join the celebrity designers. You can see the work of a young designer with fresh ideas. I personally noted that there were a lot of talented German designers. The Giving you some examples; “The Second Telling” by Elisabeth Florsted is a dining table made of wooden sticks, the gaps in between being able to adjust. 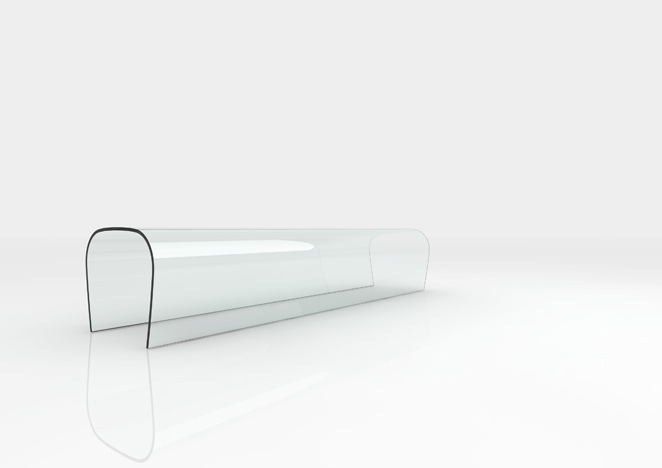 It could stretch from 48cm to 190cm, fan-shaped or bow-shaped depending on the space. Some parts might be rough, but it is a highly functional table utilizing the simple structure and material. Other things to note are the mix of different materials and colors used to make it pop, like Japanese designer HIROOMI TAHARA‘s wall storage and chairs by “WOW” and Dots design studio, and a table by Bao-Nghi Droste Design. Forli Salone, the exterior venue, had a variety of events and exhibitions. 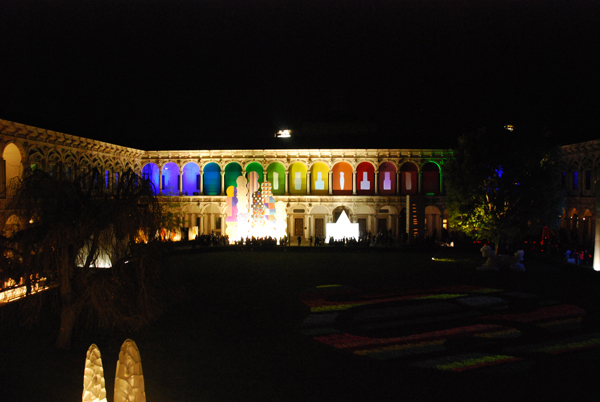 “INTERNI LEGACY” was held at the University of Milan, the exhibition in which big brand names such as Missoni and Panasonic participated, using the spacious grounds of the university. Because of the theme, “sustainable society and proposition for the future”, many brands and companies presented relating to light and LED. The most prominent in the district of Tortonas design event, might have been the “Temporary Museum for New Design 2012”. 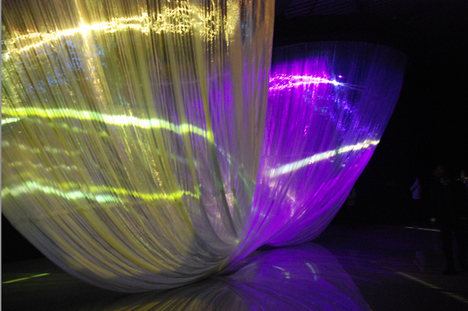 For example, in “NEOREAL IN THE FOREST” by Canon, works such as “Spring” were exhibited, a collaboration between architect, Ryuji Nakamura and artist, Nobuhiro Shimura; as well as “Fall in Pop” by Nobuhiro Shimura and fashion designer mintdesigns. The sophisticated movie attracted the audiences. Moreover, the underground space is for young designers. 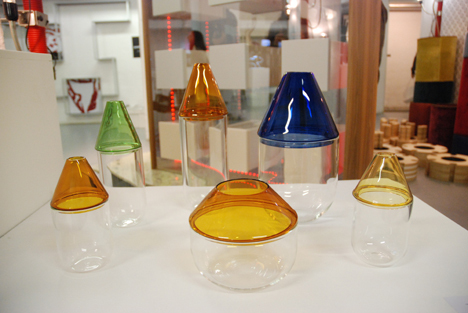 Matteo Zorzenoni, who is an Italian designer, creates vases and lamps made by mixing materials such as glass and others, which is very unique and sophisticated. Mexican brand “Hierve” exhibited the wardrobe “Ropero”. It consists of two parts: top and bottom, because there is a variation of two or three, respectively, it can be tailored to suit ones needs, and combined freely. 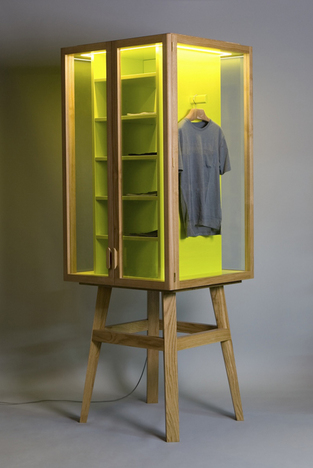 It gives the impression of a fluorescent furniture with light colours that pop. 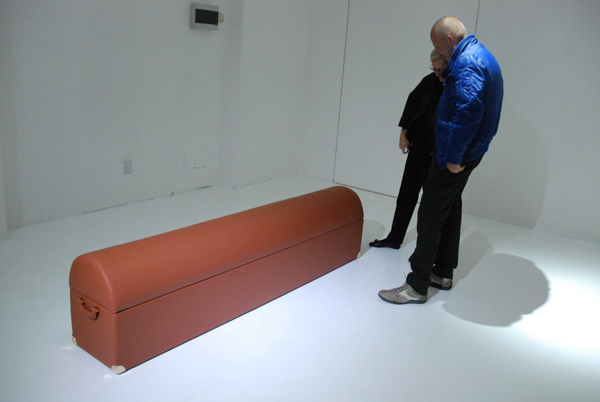 In the “Temporary Museum for New Design 2012”, “Foam spa” by INAX was particularly impressive, designed by Kenya Hara. Creamy bubbles, like cappuccino, remained in the bath comfortably for a long time as it does not damage the skin. Additionally, the bubbles keep the water hot and doesn’t make lots of steam, so that people can read a book while bathing and can even bathe in the living room! This will be unique idea to the Japanese bath culture when it has been developed. It is interesting that a proposal of a new lifestyle made possible by design could be accepted. In the Brera district where many interior shops are located, many brands also organized an exhibition at their shops, in addition to the presentation of Fiera. New York based remarkable designer, Ron Gilad’s exhibition had been held in “DILMOS” and was full of people. His simple, elegant and strange unique works attracted a lot of people. Furthermore, the Japanese architect, Shigeru Ban, designed for Hermes “module H”, the system partition. Recently, the role of Milan Salone became more wide and diverse as presenting the overall design trends included not only furniture, but also fashion and digital consumer electronics, cars as well as art installation etc. 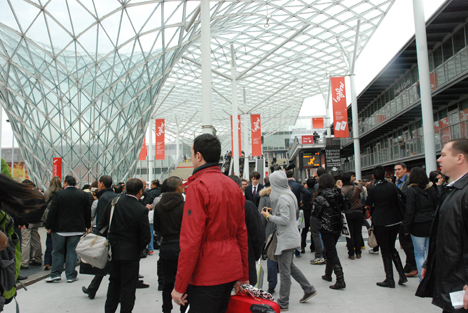 It will further increase the number and variations of events at the Forli Salone, which is the exterior exhibition.